I read a great book called The Fighter’s Mind by Sam Shepherd last Fall. This book served as the basis for my book idea. In The Fighter’s Mind, Shepherd spends time with many of the best MMA and boxing trainers and fighters to understand the hows and whys of what they do. What really makes them tick? He literally spent time in their homes, their gyms, their offices, etc. I kept thinking as I was reading this book, “this would be a great thing to do with high school coaches.” If only I was single, and had unlimited funds right?! My wife doesn’t want me leaving her at home with our three kids as I wander around the nation talking to football coaches. In January I came across a list of the 2011 State Champions on Maxpreps. That was it! I would contact these state champion coaches by email, instead of driving all over the nation to spend time with them. 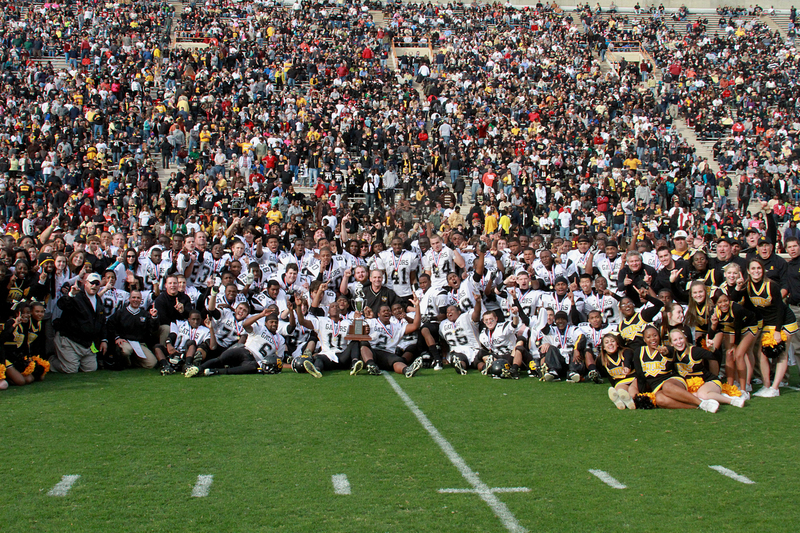 There were more than 250 “state champions” in 2011. California, where I live, has 4 state champions total. But some states have as many as 18 state champions. That is how my journey began. My journey across the nation, from my desk here in Redondo Beach, striving to learn how the best of the best did it. Picking the brains of state championship coaches who raised the trophy at the end of last season! 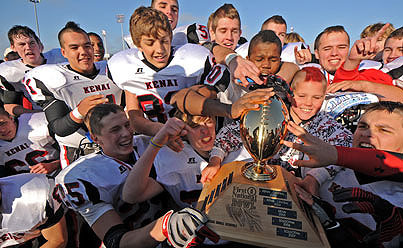 Logan High School of Utah raised the trophy! I thought I would hear back from 30-40 coaches. To date (April 11, 2012) I’ve heard back from 103 coaches in 42 different states!! I’m so pumped about the feedback I’ve received from these great coaches all over the nation. I’ve learned so much about building a championship caliber program. I thought for my post today I would share some of the insight, some of the quotes from some of these great programs! 1. What did you do differently this year from the other programs in your league, your section, your state that enabled your success as a State Champion? 2. 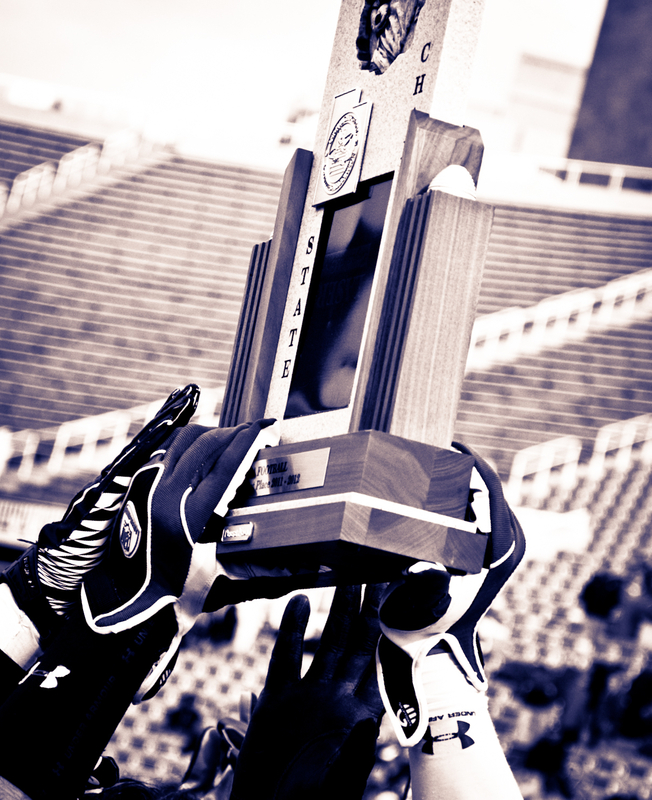 What piece of advice would you give to a Head Coach who wants to win a State Championship? 3. 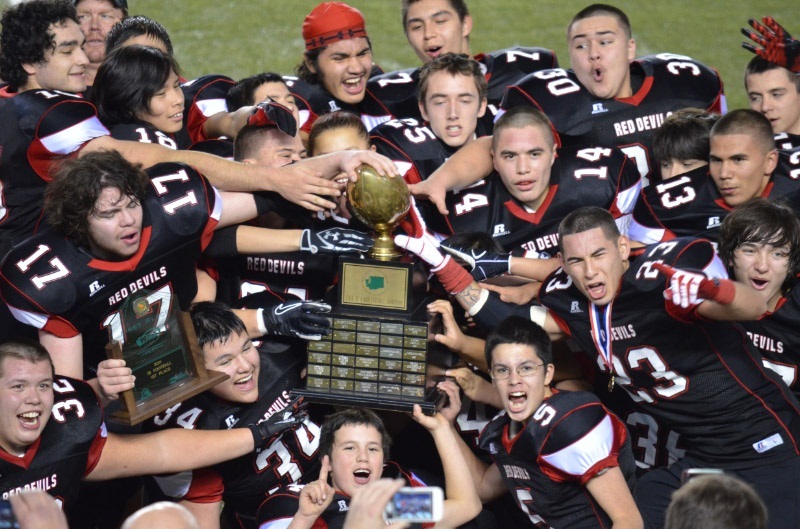 What do you consider the one most important aspect of your Championship team this year? How did you develop that in your program? What did you do differently this year from the other progams in your league, your section, your state that enabled your success as a state champion? I don’t know what other programs do so that is a difficult question to answer. I’m not sure what do differently. I just know that we try to stay at the cutting edge of offensive, defensive and strength and conditioning knowledge each year to make sure we put our kids in the best possible positions in order to succeed. I think our visits to colleges in the spring have been a tremendous help. We chose to really concentrate on us, physically and mentally. We identified our strengths and weaknesses in both areas. We wanted to be relentless in the pursuit of our goal and resilient in times of adversity. We spent a great deal of time on the mindset each week. At Olathe South, we pride ourselves on discipline across the board. Like other schools, discipline is expected on the field, around the locker room, and all areas related to football. A possible difference between other schools and us may be the extra expectations we put on our players. While our coaches provide constant guidance and support, we expect our players to discipline themselves in the classroom, hallways, lunchroom, and at home or other social events outside of the school. We require our players to utilize conversation tactics that acknowledge their subservient role in the educational setting. If all of this sounds strange, let me explain in simple terms. We require our players to respond to teachers and coaches, or any adult, with “Yes, Sir, or yes Ma’m” or “No, Sir or no Ma’m.” This may sound silly, but it demonstrates respect and puts the players in a mindset of being the “learner,” not the “teacher.” When this mentality is practiced in the classroom daily then it comes onto the field for practice. At that point, we are able to teach the things necessary to be successful on game nights without players questioning the reason. Learning happens much quicker. In all honesty, I do not know what other programs do on a daily basis, so it is difficult for me to say how we differed from other programs in our class. We are blessed to have an talented, experienced staff who has been together for a long period of time, great facilities and support from our adminsitration and community , and most importantly, talented players who were willing to place team success ahead of their individual aspirations. Our approach is very simple. We try to outwork every team that we are going to play in every aspect of the game. Weightroom, summer conditioning, practices, preparation, games everything. We know that this is not an easy goal to measure. It is however something that we do have direct control over. 2010 Division 6 State Champions 14-0; 2011 Division 6 State Champions 14-0. Longest Active winning Streak in State of Michigan all classes at 28. We have been very blessed to win state the last four out of five years. As a staff we probably preach and teach rest and recovery more than any other team in the state. Our kids continue to grow stronger and faster as the season goes on. It is all about being healthy in the end. I don’t know if we did anything different this year. We had great talent that came together. We have great pride in our program and the history and tradition of it that now includes 10 state champions. We stress to each class to work towards a positive legacy that they can leave behind. 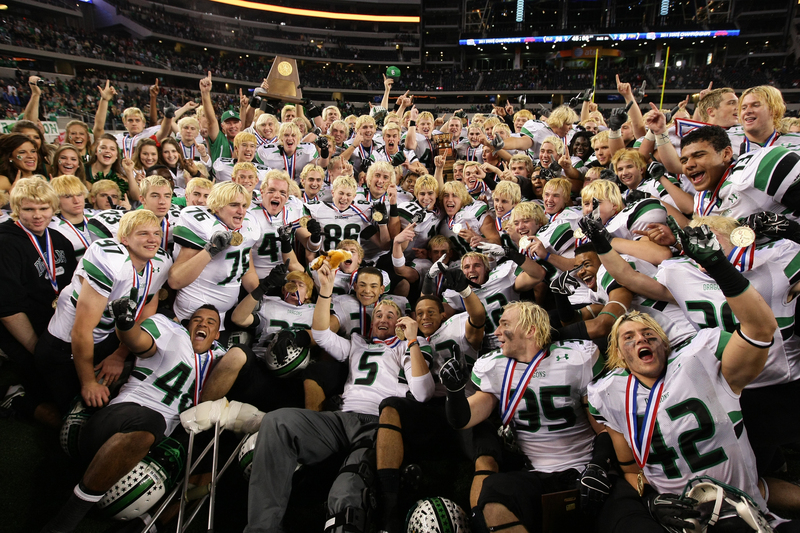 What piece of advice would you give to a Head Coach who wants to win a State Championship? Create competition amongst your team, position by position. Try not to let anyone be comfortable with their position (status). A lot of hard work in what you believe. To have a staff that believes in you ,and the course that you have laid out ,and a lot of patience .Be positive ,and consistent in your day to day approach too. My advice would be that championships should be viewed as a by-product more than a goal. The goals should be other specific and measureable things that lead to the creation of a positive experience for the players. In my opinion the most important elements for the head coach is that I try to be caring, detail oriented, and organized. The players and assistant coaches must know clearly what you team vision is and only then can everyone apply their personal gifts to those goals. I agree that concentrating on just the things that we can control, (attitude, effort, team work) kept us from wavering. We also had a ceremony to put an end to the regular season and restart the playoff season. (we burned copies of our stats and newspaper articles of regular season games) A symbol of how the regular doesn’t matter anymore . . . each game must be the only focus we have at playoff time. If I had a perfect remedy for winning State Championships, I would bottle it and sell it! lol. Certainly, you need “PLAYERS” to win championships! You also need dedication and sacrifice from the staff, players, families and the school community. I believe championships are won as a community. The support, belief and hard work by all culminates into good things. Don’t be afraid to coach “outside the box”. This year in the quarter finals, semi and finals, I convinced the players that if you get me there then I will call any play nessassary to win. If you lose then let it be because the other team was better, not because you didn’t give your kids a chance to make plays. What do you consider the one most important aspect of your championship team this year? We believe that you become a Champion first and then you win championships. Winning a Championship doesn’t make you a champion in our eyes. Doing things right all the time will make it habit forming. It is easy to do it right on game night if you are in the habit of doing it all the time: practice effort, academics, citizenship, character, community service, etc. 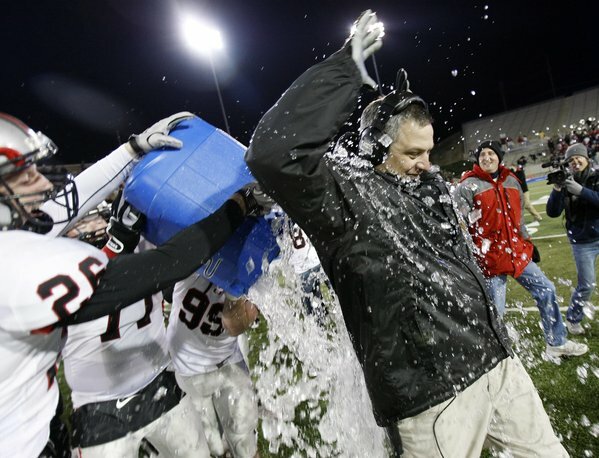 Union Head Coach Kirk Fridrich gets doused! Photo courtesy of Coach Fridrich. This year’s team was very unselfish. It did not matter who got the credit as long as our team got the victory. That is a special trait! I think the most important characteristic of our team this year was resiliency. For us that started with tremendous leadership from our Senior class. We were not the most physically talented team in the state, but we played extremely hard, we played very smart, and we played very unselfishly together. In the playoffs we were behind twice by three scores at the half, yet kept our poise and found a way to win the game. Our coaches and players were resilient, never panicked, and believed in each other no matter what we encountered. They were consistent always and had a great sense of humor. They loved playing and they loved the game of football. They played for a higher power than themselves. Our philosophy at Service has always been to develop young student athletes that “Make good decisions on and off the field”. People that buy in to the “Cougar Family” concept know that on top of their athleticism, it is quality of character that overcomes trials and tribulations, that determines a champion. We preach that in order to overcome adversity, we have to do it together as a team, not as individuals. We battle unique elements in Alaska, the distance, the cost, the short season due to inclement weather. It helps to have year round contact with kids, following academic progress, instituting a structured speed strength program, and skills clinics. More importantly we have created a great football culture with high expectations for all involved, including coaches, players and parents. Having a staff that genuinely cares for the kids and the program is also essential. Basically, we as coaches and our players bought into our system and really worked hard on fundamentals and being mentally and physically prepared. The kids had a goal, committed to it and obtained it. The # 1 thing we do is quit running (conditioning) after the 3rd game after Mondays. We still do a cardio run on Mondays which is a light day for us. I truly believe that our kids must play fast. So we practice fast , train (weights) fast and coach fast. we don not stop practice to correct a player we (coaches) take him out put his back up in and he gets coached then while he is not in the drill. We spend a lot of time on technique and assignments. I really believe the players must have fresh legs be in a great frame of mind. The year before I took the job, the team was 0-11………we were so bad that our goal was just to improve every day……over the years we have never deviated from that and preach that if every player will get a little better every day……whether it be during practice or off-season…….get a little better today……multiply that by 75 players….we have made progress as a team. Using this approach, we have improved every year, culminating with a 27-2 record the last 2 years and the State Championship this season.